Home Card Making Creativation 2019 Recap – Are you ready? Have you seen all the videos and pictures from Creativation yet? I know, I haven’t shared much, but others uploaded some amazing insights. It was such a busy weekend for me, now that I participated not only as a Content Creator, but also as a Retailer (yay!). And that was an entirely different experience. I definitely have some exciting news for my shop (makerdeli.com) and I brought back a variety of art and craft supplies. Because it is so much, I broke up the videos to four parts. And if you listen closely, you might hear something about two give aways 😉 Don’t watch too closely though, because I was lazy and decided to record all of this in my jammies. Here, I’m sharing everything about the classes I took, what I created and what we received from the vendors. Simon Says Stamps and Scrapbooker Magazine organized a meet up outside of Creativation. This was so much fun and we received a lot of swag too 😉 And there might be another giveaway. What is the Prime Networking event and why is it so important and what did I do during the show floor hours? Hear more about it here, also some of the new items that I will be carrying at The Maker Deli – yay! In case you missed my one Facebook live, it is here. I was showing all the new Emerald Creek embossing powder from Gwen Lafleur, Eileen Hull and Seth Apter. 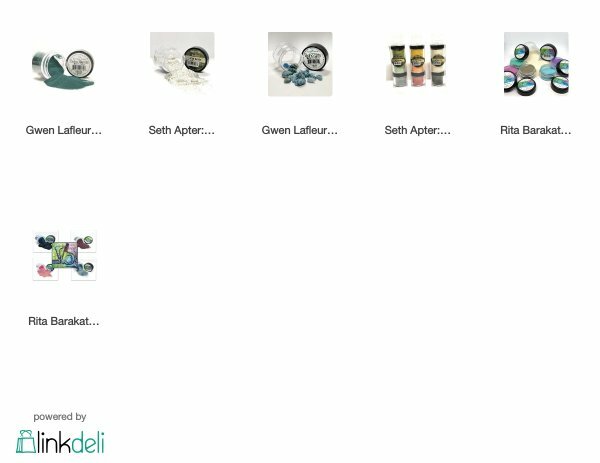 You can find all these powders for pre-order here (Eileen Hull’s powders will be available for pre-order shortly). I hope you enjoyed my not so quick recap. Don’t forget to hop on over to YouTube and take a look at all the great content from Creativation 2019. I have seen a lot of great videos. Creativation, Introduction, New, review. Bookmark.